Espro Sports Cleaner is tough on Stains! Stains do not take a vacation! If there are stains on my kids or my clothes they stick around. 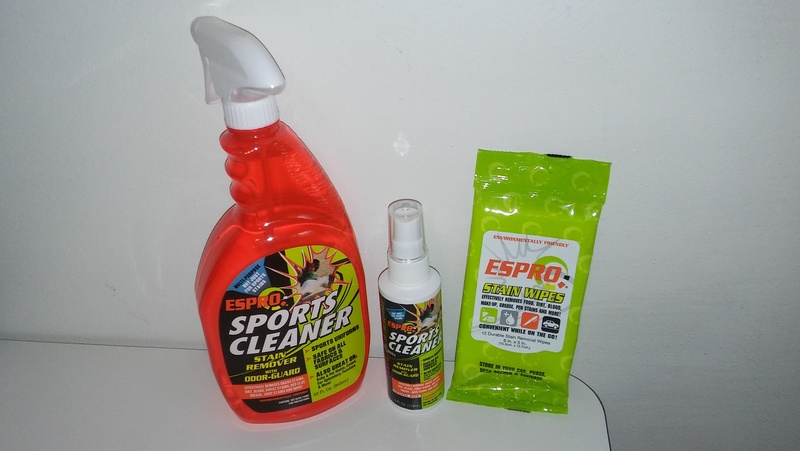 I was thrilled to try out Espro Sports cleaner and stain remover because it also had an odor guard. It seemed too good to be true that I could really knock out stains and freshen up odors at the same time. There are a lot of kids in sports and their jerseys are always in need of a good cleaning. I also love to exercise and have lots of exercise clothes that need to be refreshed after a long workout. Some detergents just aren’t enough and I am glad I found Espro. A quick spray on jerseys, or workout wear and a good wash got rid of my stains completely. When my work out clothes needed a refresher, I just sprayed a mist of Espro and let it dry. After a few minutes they smelled great! Not only can you use it on your workout clothes that need it, you can also use it to clean your sports equipment and gear. This is a great multi-use cleaner that really impressed me. I really put Espro to the test though! Next I read it can be used on carpets for all kinds of stains. 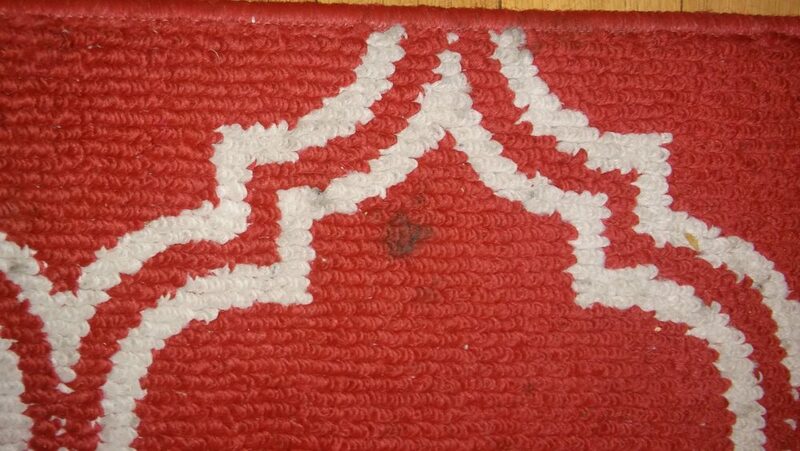 So I found a spot on one of my rugs, which surprisingly wasn’t very hard to find, and sprayed Espro right on the stain. After a few minutes of using a soft brush, the stain went away! I was so thrilled! Spots always find their way onto my rugs and carpet and other cleaners I have tried do not get the stain out without elbow grease. Espro worked great and really kicked the stain with very little effort. I know you see the before and after pictures all the time but Espro worked! I love it and beyond pleased by how much it can do. From jerseys, to carpets, and equipment Espro keeps it all clean! 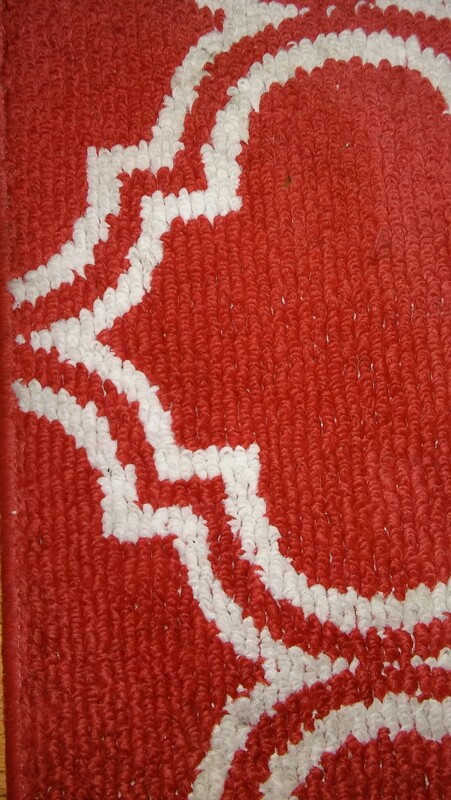 What I love the best is that it is safe on all fabrics and colors since it has no bleach. Buy some as a gift to the mom who is battling stains she will be just as thrilled as I am. Find out more here and kick out all the stains! Do you have a stain you need to kick out?